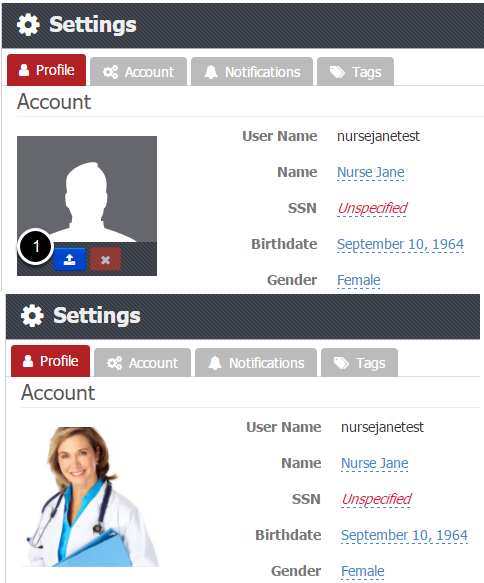 Q: How do I edit my account profile information? To add a profile picture, hover your mouse over the image and click the blue Upload button. A Windows File Explorer folder will open to allow you to choose an image from your computer. Select the image and click Open. 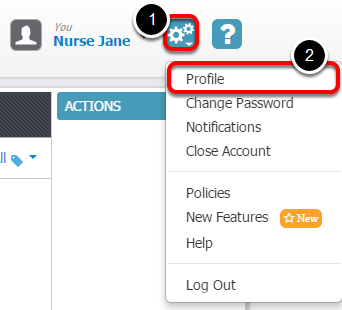 To edit your account information, click on top of the item that you wish to edit. 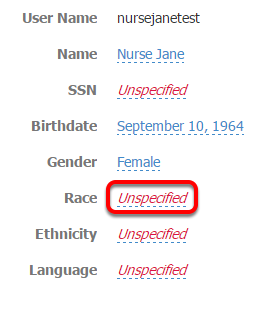 For example, to edit the Race, click on the blue text located next to Race as shown in the screen shot above. 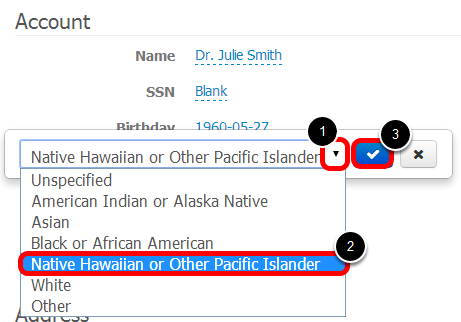 Click to select the appropriate item from within the drop down menu. Click the Blue Check mark button to save your edits. Click the Add button to add in a new address. Click the Blue Check mark button to save your changes. To add a new phone number, click the Add a new number link. Then using the drop-down menu, select the type of phone number (ie: Home, Work, Mobile, or Fax), enter your phone number, and click the blue checkmark button to save your changes. To remove a phone number, click the X next to the phone number that you with to remove. 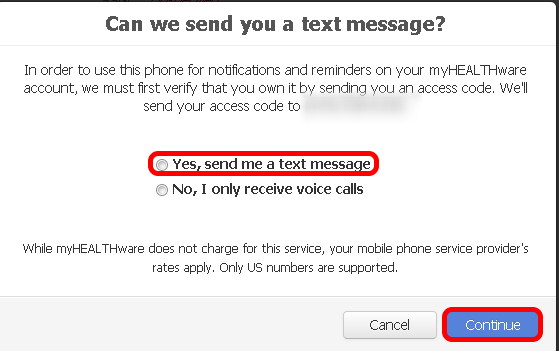 Select the option, Yes, send me a text message, then click Continue. A verification box will appear. 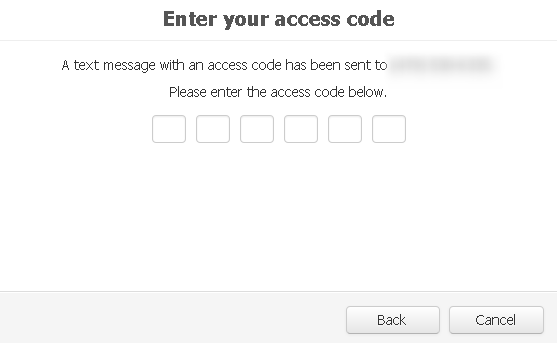 Once you receive the verification code via text, enter the code in the text box to verify your phone number. The phone number has successfully been verified. 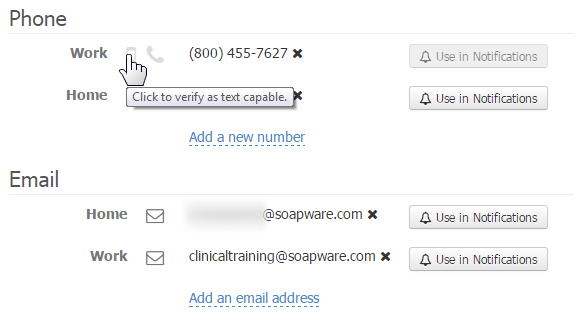 *Note: Users are now able to log in to myHEALTHware with this verified phone number, accompanied by the user's password. 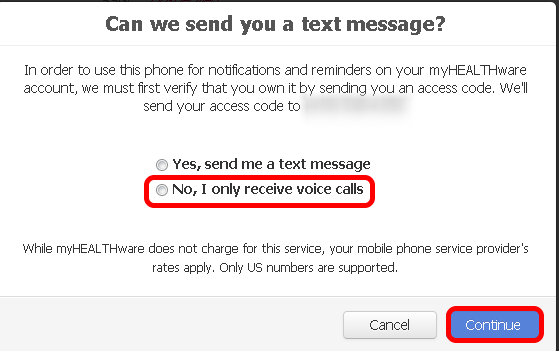 If your phone is not text capable, and you wish to verify the phone number by voice call, select the option No, I only receive voice calls, then click the Continue button. 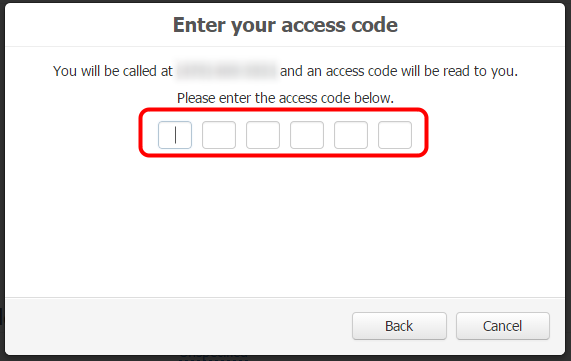 After receiving the voice call, enter the access code that is played in the message to verify the phone number. To add a new email address, click the Add an email address link. Then using the drop-down menu, select the type of email address (ie: Home or Fax), enter your email address, and click the blue checkmark button to save your changes. To remove an email address, click the X next to the email address that you with to remove. Follow the instructions found in Step 7. After adding a new email address, you will be instructed to verify your email address. An email will be sent to the email address that you recently added. Once the email is received, click on the Verify button to complete the verification process. 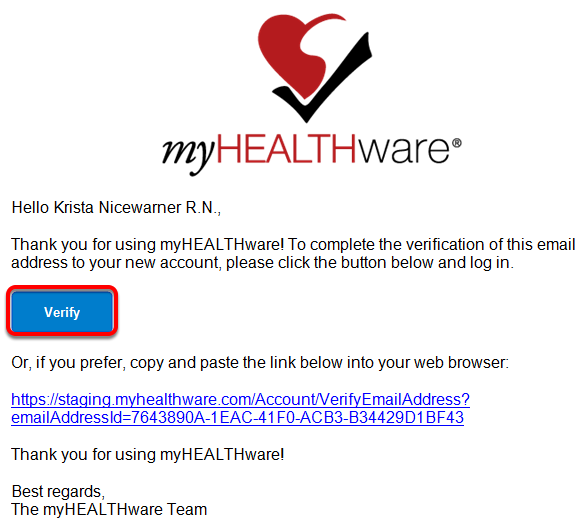 *Note: After clicking Verify, you may be asked to log in to your myHEALTHware account. If you do not verify your phone or email address at the same time it is added, you may still verify the phone or email at a later date. Click the smart phone icon to verify the phone number as a text capable phone. Click the phone receiver icon to verify the phone number as a voice only capable phone (ie: landline or not text capable). Click the email icon to send a verification email as described in the step above. You can also add in a signature for yourself or your associated clinician. 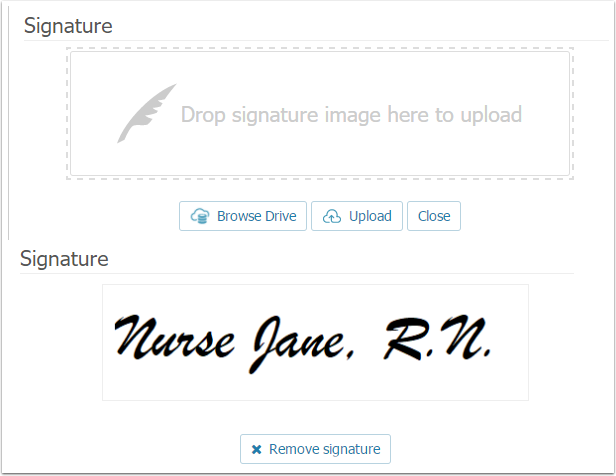 This signature can be used within myHEALTHware Fax or Drive to edit documents using the Signature Stamp tool. To add your signature, click Add a Signature, then select the image file from your computer.